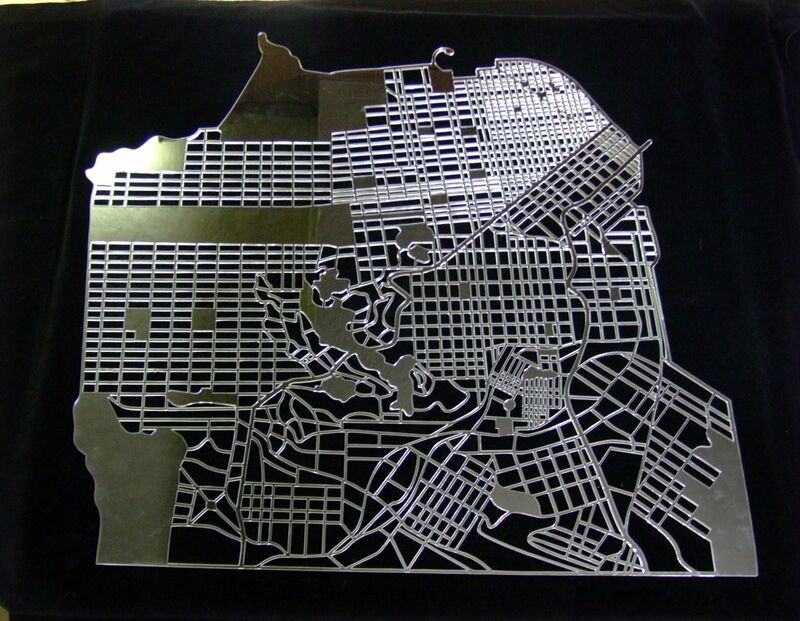 Acrylic map of San Francisco using the customer image. The material is 1/8th inch thick clear acrylic. The dimensions are approx. 24"x24". The blocks are cutout. The roads and parks are the acrylic. The final cutout included the small road and cul-de-sac in the top center of the drawing.